Mastermind GT/10 | RJM Music Technology, Inc. The most advanced and versatile MIDI controller pedal ever created. Every button is user configurable, you can edit function, text label and color! After nearly a decade of use on stages and studios around the around the world the Mastermind GT has proved itself not only as powerful but rugged too. 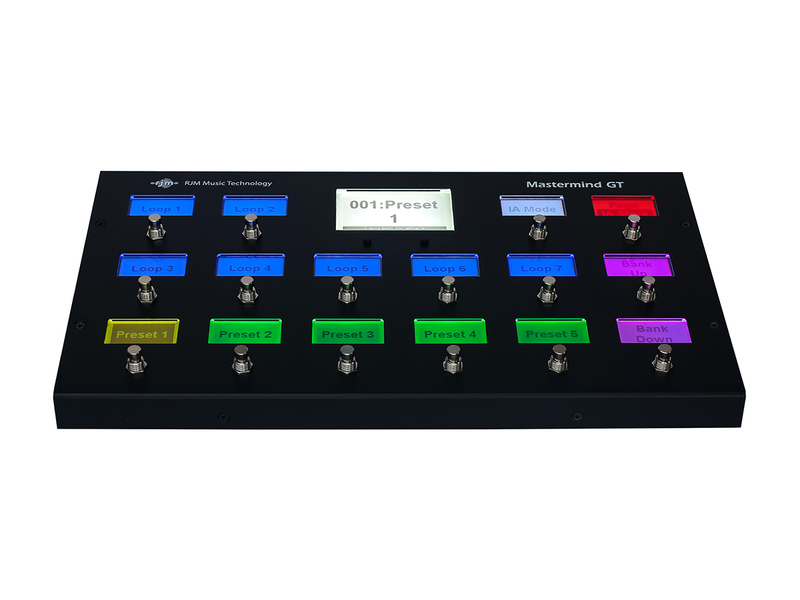 The ‘go to’ controller for many of the worlds leading touring bands, the GT has also found a home with studio musicians, worship players, recording professionals, in fact anyone who needs the very best, most flexible controller that you can buy. One of the keys to the GT’s remarkable success is its unique ability to assign any button to any task with its own text label and color. This means you can set it up EXACTLY how you want it. The buttons can send multiple MIDI messages of multiple types and with 16 pages of 10 buttons available you’re not likely to run out of options. Add in other features such as user upgradeable firmware, USB thumb drive support and built-in support for many popular MIDI devices, and you can see why continues to lead the way in programable foot controllers. Whether using the Mastermind GT/10 as the front end for our own Effects Gizmo, the Axe-Fx, the Kemper Profiler or your own customized system, if it speaks MIDI there is no more flexible controller! 10 buttons, with an LCD display over every button. Any button can be set to perform any function (preset, IA, bank up/down, tap tempo, etc.) and the LCD will indicate what the button does. No more board tape! External switches: 2 TRS jacks for a total of 4 switches. Momentary switches required. Accessory power outputs: 9VDC center negative, standard BOSS-style connector. 100mA total current for both jacks combined. 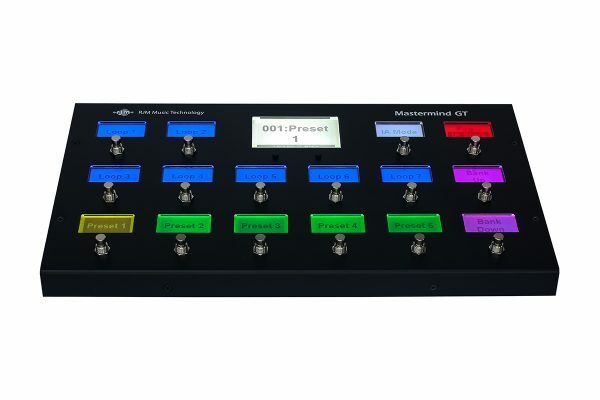 The Mastermind GT series MIDI controllers are the most advanced controllers on the market. They’re ideal for any situation where you need to control multiple MIDI devices, or for controlling MIDI-based computer applications. You can control up to 16 MIDI devices, and can set up 768 presets, 1008 songs and 64 setlists. The Mastermind GT’s buttons are fully configurable by the user. Any button can be set to any function, and you can have multiple pages of buttons, each of them with a different button layout. How is the Mastermind GT different from the PBC or LT? All of the Mastermind series have the same MIDI capabilities. The main thing that sets the Mastermind GT apart from the others is that the Mastermind GT has an LCD display over every button. This makes it easier to know what each button does at a glance. This makes the Mastermind GT the most versatile MIDI controller – you can set up different button pages with different button functions and switch between them on the fly, always being able to clearly read the LCDs and know what each button does. How complicated is the Mastermind GT to set up on my own? 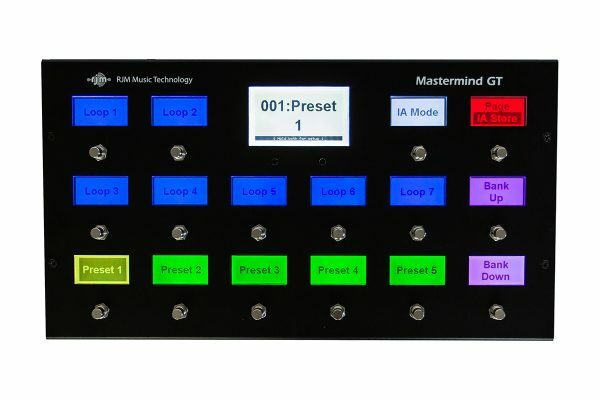 The Mastermind GT is extremely easy to program. For many devices, the work has all been done for you. Simply tell the GT which devices you have and then you can start assigning buttons to control functions on those devices. 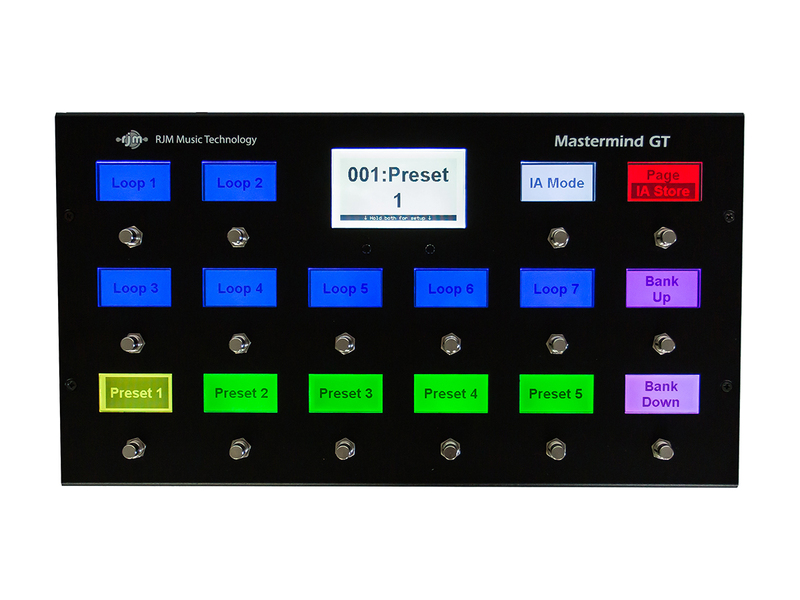 The Mastermind GT contains a database of information about popular MIDI devices, so it knows how to set itself up to control them. The Mastermind GT is also 100% user customizable. You can program any button to control whatever you want. Do I have to do all my setup on the GT or is there editor software? Simply put, you can make changes on either the device itself or in the editor, without having to have the GT in front of you. Just connect your device to your computer with a USB cable and write the changes you’ve made. You can also import changes made on the GT into the editor and save them. All three of the Mastermind GTs have a software editor available for Mac and PC. You can find the link to download the editor you need in the buttons above. Is the Mastermind GT compatible with my _______ ? 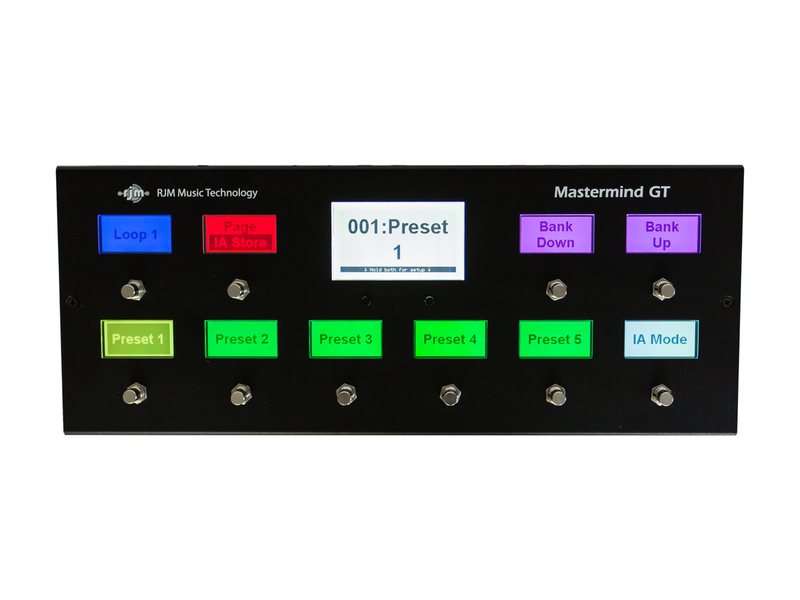 Visit our online store to order your Mastermind GT/10 today!